NASHVILLE, TN — The LIVE! Breast Cancer Awareness and Action Coalition will host a roundtable discussion. 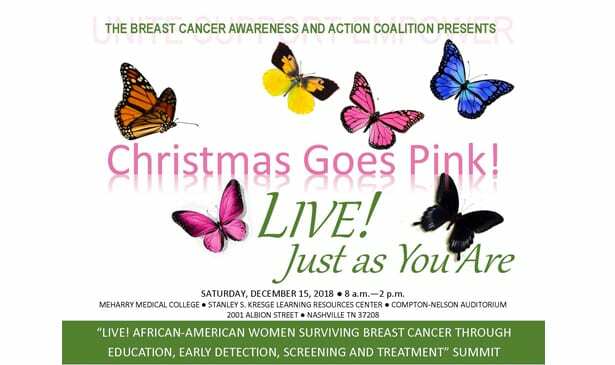 “Christmas Goes Pink in Nashville” will discuss breast cancer and mortality rates of African-American women diagnosed with the disease December 15 from 7:30 am to 2 pm. This event is open to the public and a Continental breakfast and lunch will be served. Please join us at Meharry Medical College, Stanley S. Kresge Learning Resources Center, Compton- Nelson Auditorium, 2001 Albion Street in Nashville. African-American women are diagnosed later and are twice as likely to die from the disease. The event will focus on this disparity in an effort to raise awareness of breast health in the African-American community. Vendors who will provide information to African-American women will be in attendance. Mammograms will be offered. Together, the Coalition and organizations from across the state of Tennessee will mount a major community summit on the disease. Experts from Meharry Medical College, the Tennessee Department of Health, Office of Minority Health and Disparities Elimination, Metro Nashville Health Network, the Intercultural Cancer Council, the Tennessee Cancer Coalition, the Health Committee of the Parthenon Links and Saint Thomas Medical Partners, as well as legislators and breast cancer survivors, will discuss breast cancer incidence and mortality among African-American women in East, Middle and West Tennessee. 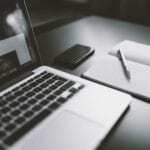 They will also explore the impact of breast cancer on women’s physical, mental and spiritual health; the importance of early screening; and ways to reduce health disparities related to breast cancer, while improving outcomes for those with the disease.